Katie Wrench is dual qualified as a social worker and art psychotherapist and registered with the HCPC. She holds professional indemnity and public liability insurance with NAGALRO. Katie has been offering training to local authorities across the UK, IFAs and third sector organisations for the past five years. She has co-authored a best selling title Life Story Work with Children who are Fostered or Adopted (2013) and the model has successfully been rolled out across England and Wales. She is also the author of two further publications: Helping Vulnerable Children To Stay Safe. Building Protective Behaviours (2016) and Creative Ideas for Assessing Vulnerable Children and Families (2018). Katie provides training and consultation based on the content of these books. 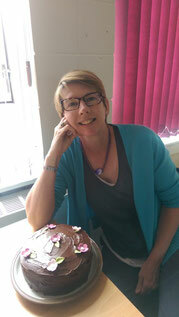 Lesley Naylor is a qualified social worker and play therapist, living and working in Leeds. She has also trained in theraplay and Dyadic Developmental Psychotherapy. Lesley qualified as a social worker in 1992 and spent ten years working with looked after children and in child protection in a local area team. She has worked for the NSPCC and in Child and Adolescent Mental Health Services and has been a member of the Therapeutic Social Work Team in Leeds since 2005. Lesley is passionate about improving the life chances of looked after children and her particular areas of interest are: therapeutic life story work, the impact of complex trauma on child development and how to work with this. Lesley has a variety of roles in her work: she works directly with children and their carers, offers support to foster carers and the systems around the child, is involved in training, particularly around life story work, and co-runs support groups for foster carers. Lesley co-authored Life Story Work for Children who are Fostered or Adopted: Creative Ideas and Activities (2013) and her life story training follows the model in the book. Lesley is registered as a social worker with the HCPC.